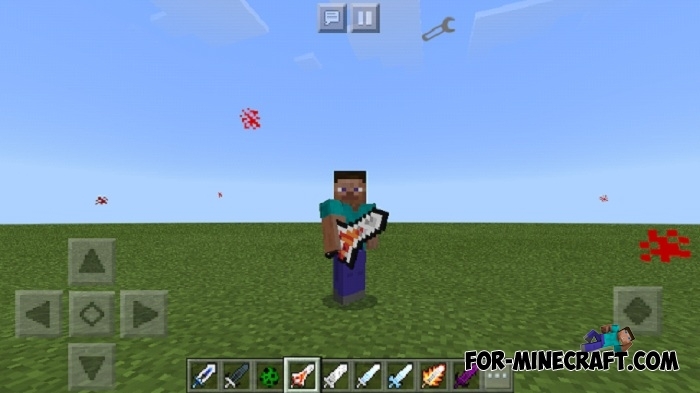 This is a complete modification for Minecraft Bedrock Edition which is aimed at the melee weapon namely swords. Over 20 different swords are gathered here, from simple knives to soul absorber and laser sabers. Great attention was paid to details and how you would get these swords. For example, some of them are able to absorb the souls of your victims, making you stronger. 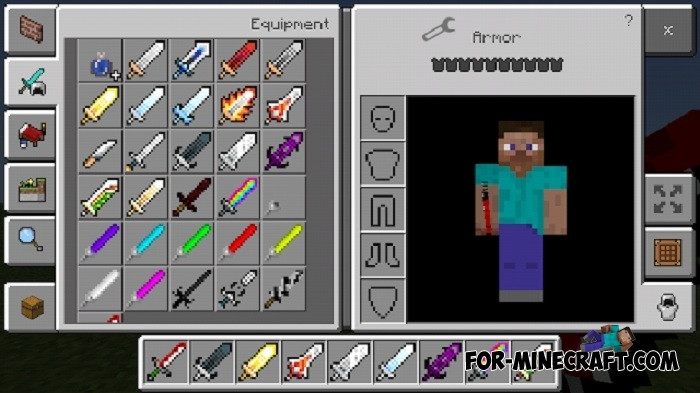 Basically, each sword listed below is craftable and is made using new items and recipes. Unlike vanilla swords, they have more energy and power, and also store effects in themselves. Start with the simplest swords and gradually forge more complex and expensive ones. 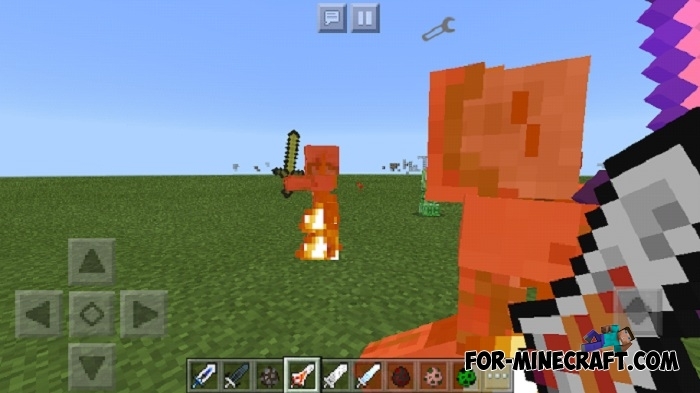 Having a super sword you can alone confront any enemy in Minecraft PE. How to install the More Swords mod?